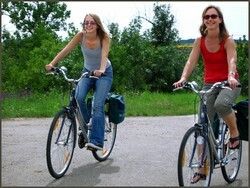 VELO - TOURING® - this name signifies the best and most beautiful bike tours in Hungary / Austria (Central Europe). We know our country best and we would be happy to provide You with further information. We ask you to read carefully the Program Overview, detailed program description with map of the chosen tour, the "Insider tips" as well as the Terms and Conditions. ,,...A very enjoyable experience. It was a lovely waydiscover Hungary. Everything was very good. ..."